Restaurant in luxury hotel Hoffmeister has prepared 3 course Easter menu. Wild garlic soup with smoked catfish, lamb tenderloin and sweetbread with asparagus risotto and strawberry mille feuille. Luka Lu, restaurant in Lesser Town, has prepared special Easter menu. Pita stuffed with spinach and cheese, cold octopus salad, veal roll stuffed with cheese and ham with mashed potatoes, young goat or octopus roasted traditionally „under sač“ with potatoes and vegetables, baklava with nuts and sour cherries and strudel with figs and apples. The 4 course Easter menu will be prepared for you by the chef of the Triton Restaurant. Eel in two ways, beetroot with goat cheese, créme fraiche and herbs, slowly roasted Guinea Fowl wrapped in bacon in combination with pumpkin puree, stuffed morel mushroom, peas and asparagus as the main course and finally, lemon - yuzu tarte with mango. With the upcoming Easter holidays, the Elements Restaurant at The President Hotel Prague has prepared a special 4 course Easter menu. Wild garlic soup with egg yolk and verbena gel, then Ravioli with lamb sweetbread and rhubarb followed by lamb chop and leg with green peas, stuffing and juniper and Easter eggs as a sweet surprise at the end. Oblaca Restaurant has prepared 4-course Easter menu. Duck foie gras baked with Tokaj wine combined with groats risotto and butter pumpkin, spring nettles with kephir cream, fresh cottage cheese and poached egg, confit lamb hock with potato-mustard purée and young spinach and milk chocolate mousse with marinated pear and egg liqueur sauce on the top as a dessert. Restaurant U Malířů has prepared 5 course menu for Easter. Rabbit rillettes with egg yolk and asparagus, spinach cream soup with wild garlic and snails, roasted saddle of lamb and sweetbread with Easter stuffing or fillet of trout with buttery chateau potatoes and watercress sauce. 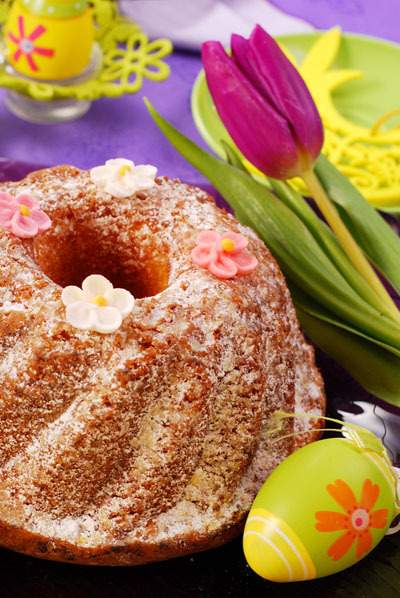 Finally, Easter cake with raisins. Elegant Augustine restaurant has prepared special 4 course Easter menu. White asparagus with an egg 63°C, caviar Da Vinci, watercress and rocket espuma, John Dorry with ramson and fava beans, veal fillet with crayfish and vegetables variation and rhubarb dessert with carrot, pistachio and mascarpone decorated with eatable flowers. On Easter Sunday 21st April you may also look forward to a festive breakfast with a traditional bread – Mazanec and folklore music performance. 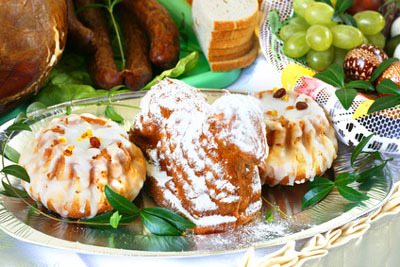 Joyful Easter celebration with special dishes is prepared in the Dutch Pub Prague. The Happy Easter 3-course menu will be served and consists of cream soup of wild garlic with mushrooms, roasted lamb shank with mashed potatoes and nettle stuffing as the main course and home-made Easter cake with vanilla ice cream and fresh currant. Restaurant Sarah Bernhardt will bring a 4-course festive menu. Rabbit pate wrapped in bacon with rhubarb chutney, asparagus cream, roasted rack of lamb with rosemary and garlic, nettle and Prague ham stuffing served with spring baby vegetable and finally, Varlhona chocolate tower with pistachio ice cream and candied fruits. 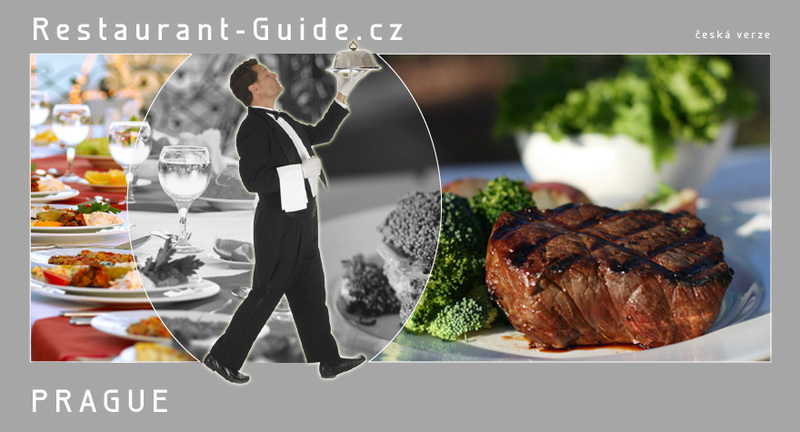 A la carte menu in the Restaurant Malostranská beseda will be now enriched with a new Easter offer. You may look forward to creamy soup with rabbit and spring chicken meat, green peas and butter croutons, grilled breast of chicken with Easter stuffing, roasted rabbit with garlic, thyme and mustard, fresh spinach and potato gnocchi or roasted lamb chops with fresh marjoram, aubergine au gratin with tomatoes and farmer´s cheese served potatoes roasted in smoke. 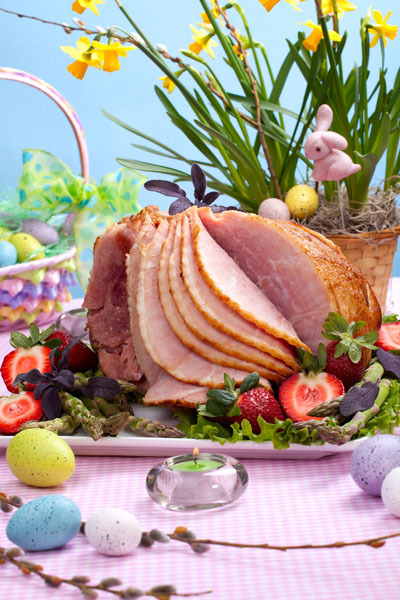 Restaurant Zinc in Hilton Old Town Prague has prepared special brunch for Easter Sunday. Rich cold and hot buffet, programme for kids. Price per person: 1.500 CZK , children 7-12 700 CZK, free for children up to 6. Restaurant Home has prepared special Easter menu. Cress soup with fried egg, spinach salad with rabbit confit, spring chicken with nettle stuffing, lamb chops with wild garlic and amur fish with quinoa and spinach. 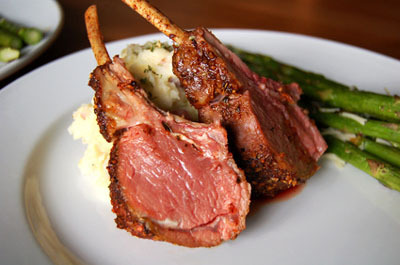 Luxury restaurant Deer has prepared Easter menu. Rabbit rillettes with foie gras, spinach soup with smoked salmon, lamb chops with wild garlic and potato purée and Easter chocolate egg with vanilla mousse. Italian restaurant Pagana has prepared special Easter menu. Creamy soup from wild garlic creamy soup with calamari, roast rabbit roll with broccoli cake and pancetta and monkfish with saffron gnocchi. Restaurant in luxury hotel Carlo IV has prepared 3 course Easter menu. Smoked duck breast with endive salad, lamb shank with potato-parsley purée and chocolate shell with egg liqueur. Restaurant Mama Shelter has prepared special Easter menu. Spinach cream with Easter stuffing, smoked veal tongue, ham with baked potato purée, lamb knuckle with hummus and wild garlic and chocolate mousse with mango coulis. Happy Easter mood came also to the restaurant Altány Kampa. The festive menu offers for example choppy lettuce salad with pear, gorgonzola and poached quail egg, from the main courses we have herb leg of lamb with grenaille potatoes and roasted beetroot with dressing of ramsons, then roasted corn chicken stuffed with smoked meat, parsley and nettles or wiener schnitzel. Finally, a dessert in the form of an Easter chocolate egg filled with mascarpone and raspberry sauce with green moss. 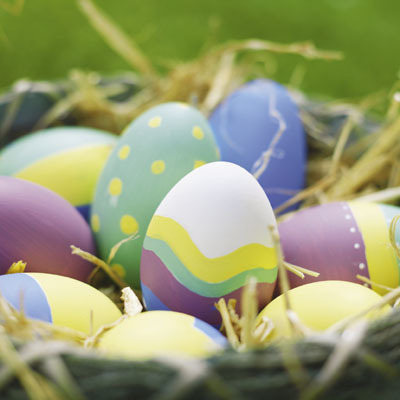 In Le Grill Restaurant they also celebrate Easter, this time with a 4 course Easter menu. Rabbit terrine with watercress mayonnaise and radish, chicken consommé with poached quail egg and spring vegetables, as a main course we have lamb loin with nettle stuffing served with carrot purée, mustard and broad beans and at the end, a dessert in the form of white chocolate Easter egg with passion fruit ganache, pistachio gel and carrot sponge. Restaurant Blue Wagon has prepared 4 course Easter menu. Duck rillettes with pea mayonnaise, green pea cream soup with quail eggs, lamb chops with nettle stuffing and Eggs yogurt mousse.